Elstree 1976 is a modest movie about modest actors and extras whose modest film careers included bit parts in an immodestly successful and influential movie called Star Wars. Crossing paths one unseasonally warm English summer at London’s Elstree studio, they donned goofy costumes to make an odd science fiction movie (okay, I know, space opera, thanks) that some thought was a low-budget TV film but others more versed in the genre recognized as something potentially special. They moved on from there, some to the surprise megahit’s two sequels, others to prolific background careers, still others back to the respectable theatre roles that they took a break from to play exotic aliens or foot soldiers in a galatic conflict. But as the cultural profile of Star Wars grew to saturating proportions, many were sucked up in the maelstrom of its dedicated fandom, and began making lucrative appearances on the convention circuit. I’m not at all certain what Elstree 1976 ultimately adds up to. 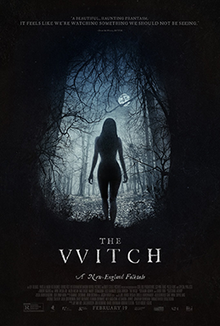 Its subjects are too diverse, their experiences with both the film and its decades-long comet trail of fan enthusiasm both too variant and too samey to land any sort of impactful statement. There are internecine controversies in the geek-movie bit-player convention-circuit world, we are told. Cast members listed in the credits resent the uncredited extras who claim an equivalent mantle of fleeting notoreity and occupy autograph-signing booths next to them at fan events. One extra’s claim to be the infamous clumsy stormtrooper who bumps his head on a rising door on the Deathstar (certainly no laurel-draped honour) has even faced multiple counter-claims from other background players. The most prominent cast member interviewed is clearly the towering English strongman David Prowse, who played megavillain Darth Vader in all facets except his voice. Prowse, whose mild West Country accent earned him the snickering behind-the-scenes nickname “Darth Farmer”, had his line readings later iconically overdubbed by the inimitable James Earl Jones, which he is paradoxically flattered and irritated by, seemingly at once. Prowse is also glad to have been involved in Star Wars and to continue to derive an income from it in his advanced age, but reserves some bitterness towards Lucasfilm and defied its corporate controls just enough to get himself banished from officially-sanctioned franchise events. One doubts that he’ll be invited back into the Vader suit for this year’s Star Wars film, Rogue One, which includes at least a cameo appearance by Darth. Prowse himself may have been a rich enough subject for a documentary, but the group of veteran thespians, former models/bartenders, and flaky entertainment world hangers-on interviewed by director Jon Spira provide curious colour as well. All seem more than a little bemused at their continued relevance to Star Wars superfans, whether they were cool alien bounty hunters like Greedo or Boba Fett, the stormtrooper who gets an assist from the Force in realizing that these aren’t the droids he was looking for, or briefly-glimpsed Rebel Alliance honour guards. Fan obsession has given them a chance to cash in on their momentary brush with history, and they’ll take the opportunity with a smile. A no less obsessive but far more creatively active facet of movie fandom is witnessed in Raiders! The enthusiasm that the throngs who line up for the autograph of the unglimpsed actor playing a stormtrooper or bounty hunter in a galaxy far, far away was likewise felt by a trio of teenaged boys in 1980s Mississippi for the daring adventures of rough-and-tumble archaeologist. So inspired were Chris Strompolos, Eric Zala, and Jayson Lamb by Steven Spielberg’s 1981 action-adventure classic Raiders of the Lost Ark that they decided to make a film of their own. Or rather, they decided to remake that same film, shot for shot, starring themselves and their friends, over nearly a decade, with a scraped-together budget approaching a final figure of $5000 and loads of brazen inventiveness. The dedication, ingenuity, and sheer juvenile recklessness involved in this long-term project is more than a little astounding and more than worth the documentary feature treatment. Raiders of the Lost Ark is pure blockbuster fare: impressive sets, cutting-edge special effects (for its time, anyway), thousands of extras, and, most of all, thrilling stuntwork that would be extremely dangerous for even trained professionals to attempt. These plucky teenagers tackle it all: they’re chased by rolling boulders, beset by a tomb full of snakes, and dragged behind a truck (albeit one without an engine). They even set themselves (and the basement of one of their parents’ home) on fire. 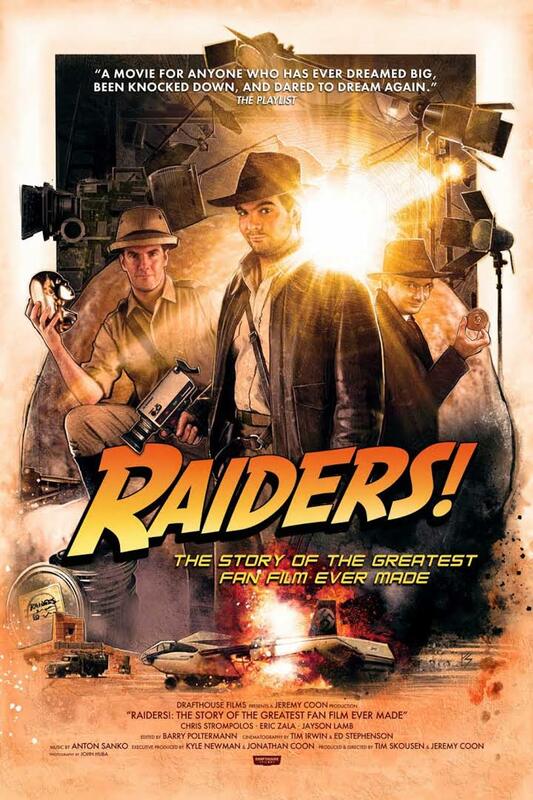 The resulting giddily amateur fan film, entitled Raiders of the Lost Ark: The Adaptation, has been touring the U.S. to cheering film geek audiences for a decade since cult filmmaker Eli Roth sprung an old VHS copy of it upon the attendees of Ain’t It Cool News‘ annual marathon film festival, creating major internet buzz and earning the film its own packed screening at Austin’s Alamo Drafthouse Theatre (whose production arm oversaw this documentary). Spielberg himself even came across the fan film, and set a meeting with its three creators as adults to praise them for their efforts and tell them how they inspired him further as a filmmaker. The best moments of Raiders! involve the reminiscences of the principal trio and the legion of family members and friends who participated in the venture, but there’s more to the film than stardust memories of misspent youth. But there’s more to the film than that, even though the incredible stories of the years-long production could fill an hour or more on their own. Intercut with the backstory of the Raiders adaptation is the documentation of Zala and Strompolos’ current-day attempt to raise necessary funds and surmount the necessary challenges to film the one sequence from Spielberg’s classic that stymied their teenaged resources: the explosion-filled white-knuckle fight scene between hero Indiana Jones and a towering Nazi muscleman beneath a life-sized prototype airplane. Both the high production values and standard behind-the-scenes challenges that Zala and Strompolos face to complete this sequence are far out of step with the DIY aesthetic that made their childhood re-creation so charming. But the struggles that they face as adults – Zala with a family to provide for and a demanding boss insisting that he return to his paid work, Strompolos to find direction and stability after struggles with poverty and drug addiction, even Lamb to reconcile with the duo of friends whom he felt minimized his contribution to The Adaptation – put the more whimsical obstacles of their youthful moviemaking into context. The documentary’s juxtaposition of these challenges is a fine exemplification of the nature of maturation and conforming forces of American society. But the film’s postscript – Zala leaves his constricting job to start a film production company with his childhood compatriot Strompolos – suggests that in the creative class that springs from and feeds on the energy of fandom, the conventional narrative arc of “growing up” can have unexpected detours. David O. Russell’s breezily fictionalized spin on the FBI’s Abscam sting operation of the late 1970s and early 1980s opens (after a droll disclaimer: “Some of this actually happened”) with a scene of its protagonist con man Irving Rosenfeld (Christian Bale) meticulously arranging his elaborate combover in a luxury hotel suite mirror. Russell’s camera lingers on the detail of Bale’s exertions on his coiffure as the actor subtly revels in the flourishes of Rosenfeld’s preparations. His care and attention to detail in presenting a false follicular front to the world have little to do with male vanity, however. They are about perfecting the correct appearance to achieve the desired effect, and the desired effect is always for his mark to believe in him not because he wants them to, but because they want to. This is the essence of the con man’s hustle, expressed as clearly and as resonantly as it perhaps ever has been onscreen in American Hustle. But Russell, a famously exacting filmmaker whose films always feel looser and more casually-constructed than they really are, is not content to simply doodle entertainingly on the level of the confidence caper potboiler, a slick Ocean’s Eleven transposed to the plush glare of the ’70s. American Hustle is Russell’s Goodfellas, stylistically and thematically. And it suggests a close kinship between its double-crossing, role-playing scammers and the vaunted American Dream in much the same way that Goodfellas melded the brash alterity of Mob life with American middle-class aspiration. The con is not a bug in America’s construction, it’s a feature. Russell and co-scripter Eric Warren Singer change the names and many of the personas of the Abscam principals, and spice up the scenario with criss-crossing liaisons and shifting loyalties, but the broad strokes are similar. Rosenfeld is the owner of a New York-area dry-cleaning chain, the son of a glazier, and a seasoned scam artist who dabbles in fake-loan schemes and forged art dealing. His partner and paramour, Sydney Prosser (Amy Adams), impersonates a British aristocrat and weaves her particular seduction of victims with his own. Although they have a productive shadow-business and a passionate love life, Rosenfeld also has a family on Long Island to go back to: his mercurial, disastrous wife Rosalyn (Jennifer Lawrence) and son Danny (Danny and Sonny Corbo), towards whom he is a devoted father. Rosenfeld’s split allegiances become further bifurcated when he and Sydney are busted in their loan scam by FBI agent Richie DiMaso (Bradley Cooper) and he presses them into an ever-broadening sting operation aimed at the dedicated but corrupt mayor of Camden, New Jersey, Carmine Polito (Jeremy Renner, sporting a spectacular coif). Polito is employing his tentacular influence in New Jersey politics to raise funds to rebuild the legalized gambling business of Atlantic City, a venture now legendary for its embezzlement, corrupt application of public funds, and Mafia involvement in skimming construction costs and casino profits. DiMaso, steamrolling over the reasonable Midwestern caution of his embattled superior Stoddard Thorsen (Louis CK), looks to snag Polito for taking bribes from an invented Middle Eastern sheikh (impersonated by a Mexican-American agent played by the indispensible Michael Peña, in what now plays like an inadvertent shot at Donald Trump’s nativist anti-immigration fulminations). He wants the cooperation and expertise of the entrapped Rosenfeld and Sydney in pulling off this sting, and needs it more and more as the web of corruption in the Atlantic City deal catches U.S. congressmen, a Senator, and a menacing Mob enforcer-turned-captain (Robert DeNiro). I must admit to my shame that I’ve missed out on Russell’s later-period transformation from the brazen iconoclast of Three Kings to the super-skilled director of sprawling, audience-friendly awards-bait genre prestige pictures like The Fighter, Silver Linings Playbook, and American Hustle. His cast for Hustle draws liberally from his recent efforts. Bale achieves the opposite physical transformation from his Oscar-nominated role in The Fighter, where he was gaunt and hollow-cheeked in contrast to Rosenfeld’s pot-belly; the sultry, unwaveringly sharp Adams was also in that film. Cooper, whose overgrown-bro-trending career was put on a more respectable path by Silver Linings Playbook, ricochets from overconfidence to self-doubt, from aggression to desperation, from triumph to deflation. Lawrence, Russell’s megawatt muse since Silver Linings Playbook, is great as usual, saddled though she is with the stock hysterical wife role (Lorraine Bracco left so little of such a role for anyone after Goodfellas) and is only sometimes given free reign to subvert it, as when she celebrates a vengeful attempt to break Rosenfeld’s cover with her putative Mafia boyfriend (Jack Huston) via a pugnacious singalong to Paul McCartney’s “Live and Let Die” while cleaning the house. Technically, American Hustle is superbly crafted, flashily and subtly in equal measure. Even in what many directors would stage as static dialogue scenes, Russell moves his camera with even-handed drama, pushes in and pulls away for precisely calculated effect that feels spontaneous and effortless. When DiMaso and Sydney (the former is deeply attracted to the latter, who purports to be honeytrapping the federali but might have more feelings than she lets on) go out dancing, Russell revels in the sexiness of a Manhattan club night, all UV floods and chopped-up strobe lights. All the fine performances and technical acumen would be wasted, however, if American Hustle‘s themes did not land so firmly on an uncomfortable and infrequently-acknowledged truth about the pursuit of wealth and happiness in America: the ends are forever justifying the means, and driving those means past the threshold of legality and morality (which are not always the same thing). In a year in which a shamelessly transparent con man stands a disturbingly good chance of becoming President of the United States, Russell’s film from a few years ago shows how the nigh-unchecked processes of American capitalism turn everyone – striving con artists, ambitious cops, politicians, mobsters, even unstable housewives – into scammers. “Let’s be real,” says DiMaso to Sydney at several points, ironically unaware that she is not only pretending to love him but faking an entire identity and maybe conning him on deeper levels as well. DiMaso cannot play as fast and loose with reality as Sydney and Rosenfeld can, despite all of his swagger and attitude, and this problem makes him a juicy mark. The problem with America, in the 1970s as now, is the slippery nature of the “real” in the face of constant personal reinvention and relentless sales pitch bombardment of daily life. Donald Trump is not a good businessman, strong leader, brilliant thinker, or even a particularly functional human being, but he plays those roles on TV with enough blustering conviction to persuade a significant minority of American voters that he might be. American Hustle‘s characters are putting up similar false fronts for similar selfish gain; for them as for Trump, the idea of reality, the concept of truth, is just another facet of the long con they are running on the world. Early in their tense partnership, Rosenfeld and DiMaso stand in front of a Rembrandt portrait in an art museum and Rosenfeld tells DiMaso that the painting is a skilled fake that no one has recognized. But what does that matter? What is the palpable difference between the real and the fake if it is too difficult to distinguish one from the other to be worth the dubious effort, and, furthermore, if the effort of making and observing that distinction offers no tangible reward? America itself is a hustle, indeed chronically rewards the hustle, and David O. Russell’s resonant caper epic understands and demonstrates this with enjoyable and skilled bravado.